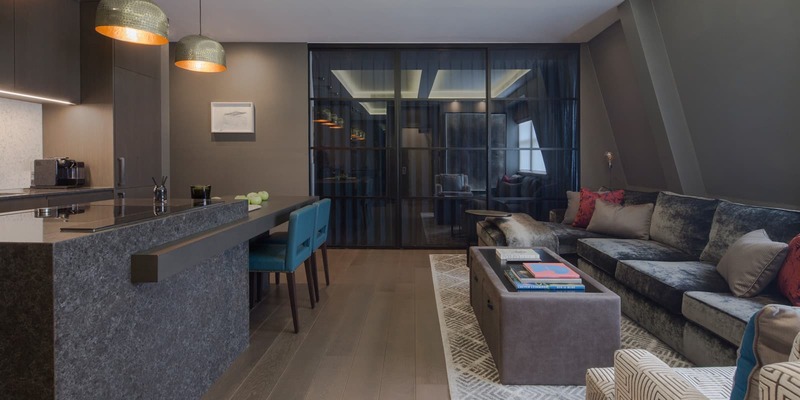 A versatile two-bedroom apartment in the heart of London’s West End that packs a serious punch for its relatively modest 650 square feet. 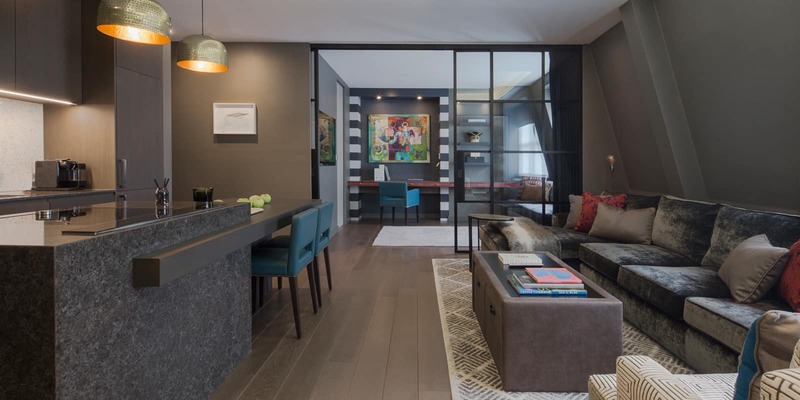 Rich colours and opulent furnishings have been combined to create a luxurious yet highly functional pied-à-terre. 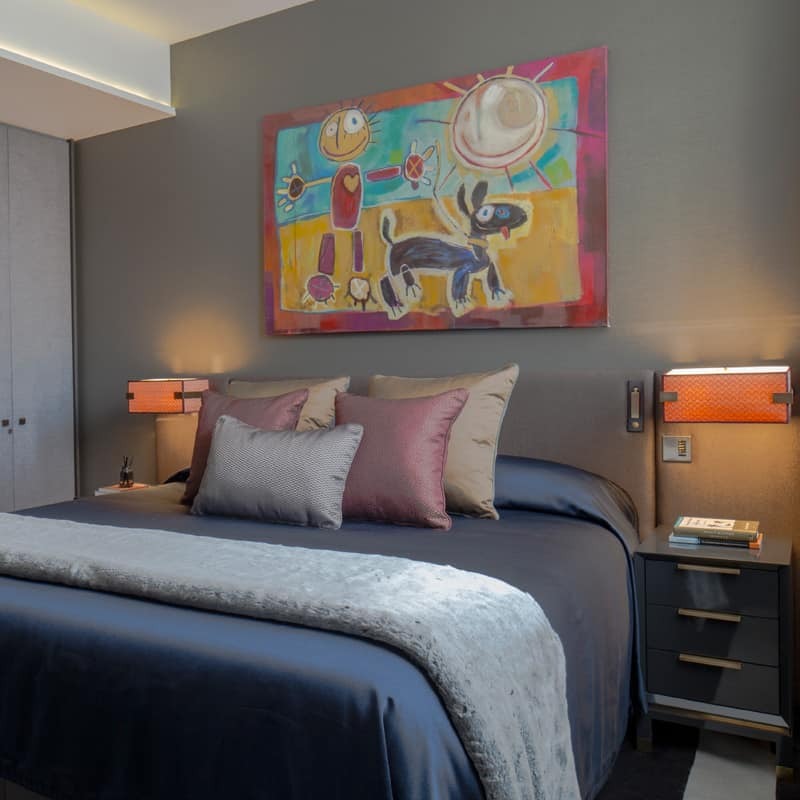 The client approached Roselind Wilson Design after searching for an interior architect and interior designer who could correctly interpret his exacting needs. 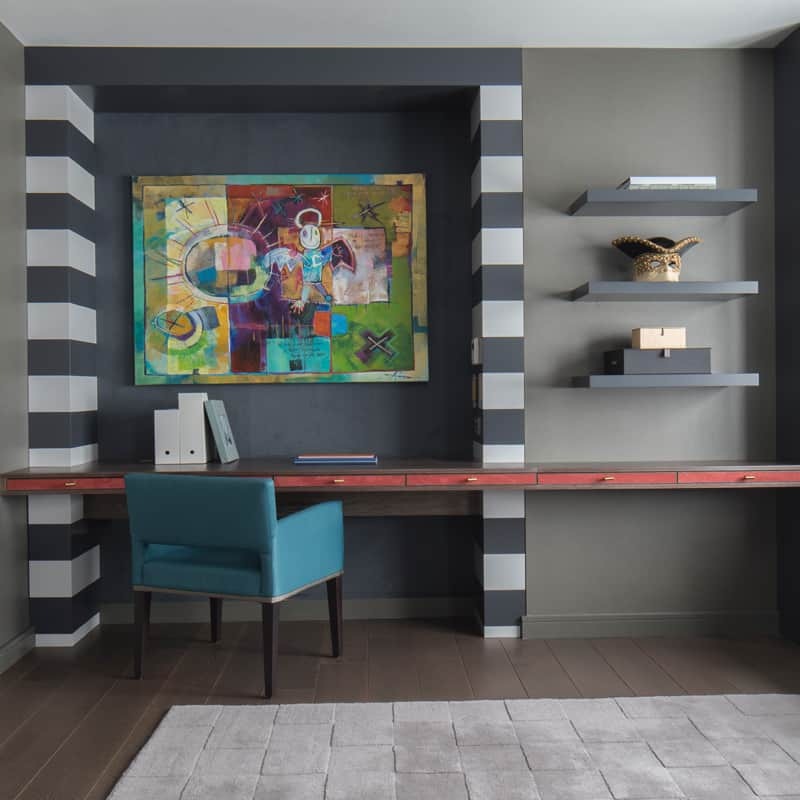 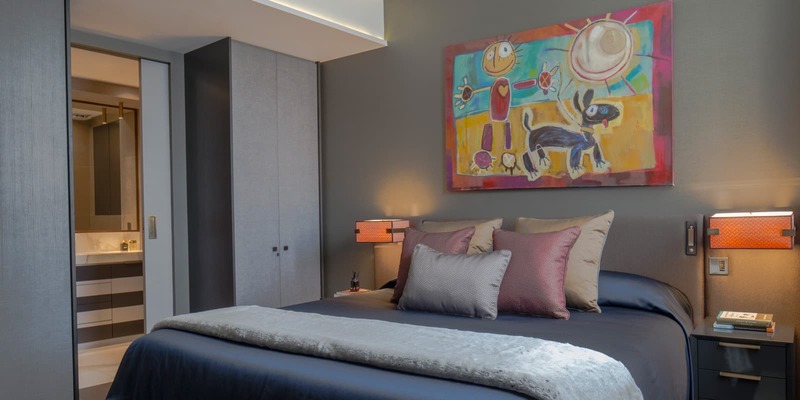 Charismatic and well-travelled, our client wanted his London pied-à-terre to reflect his vibrant personality with bold colours, textures and a serious wow factor. 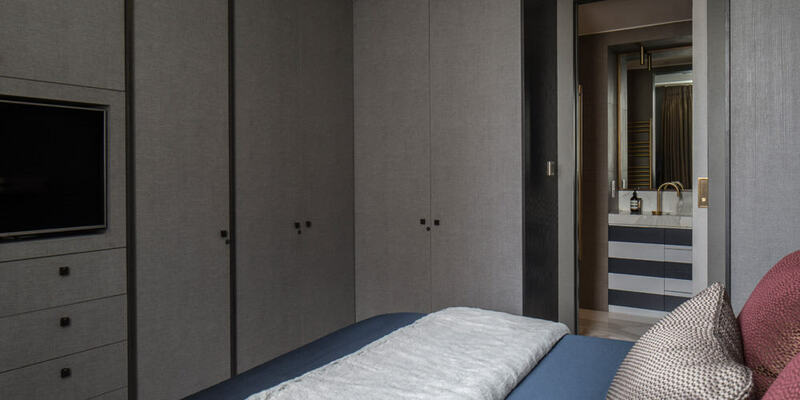 From a functional point of view, the apartment needed to be able to accommodate guests as well as act as a welcoming bolthole when our client returned from his travels. 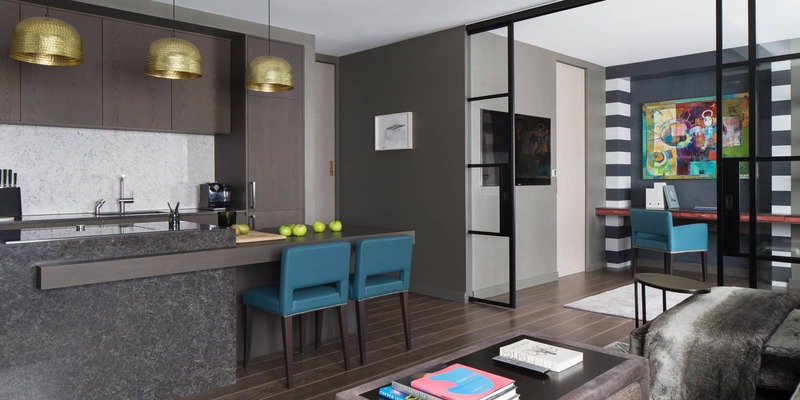 This apartment is all about luxury. 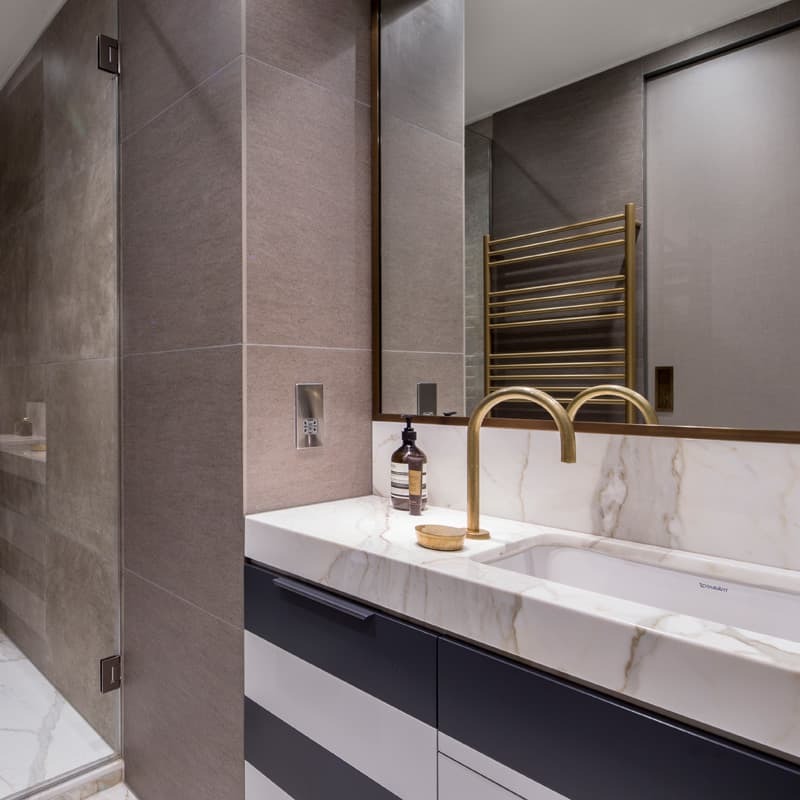 Sanitaryware has been specified from The Watermark Collection and kitchen appliances by Gaggenau and Miele, while bespoke elements play a key role in both the interior design and interior architecture. 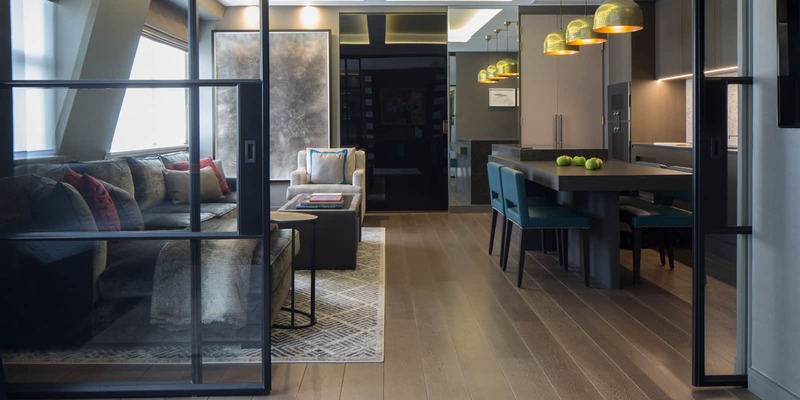 The process of transforming this Fitzrovia apartment into a luxurious entertaining and personal space was a labour of love for both Roselind Wilson Design and the client. 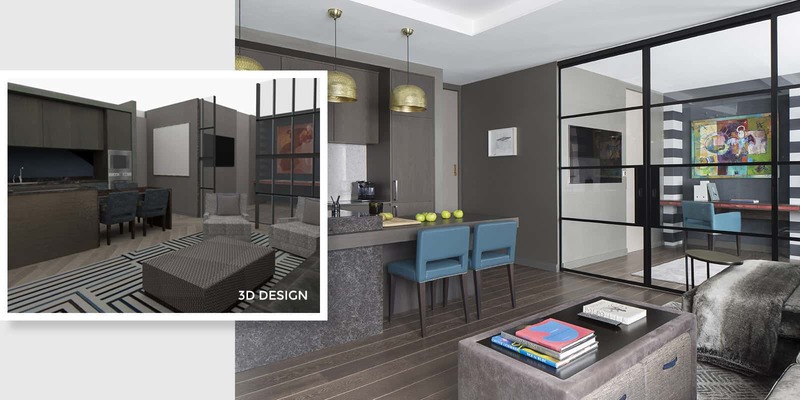 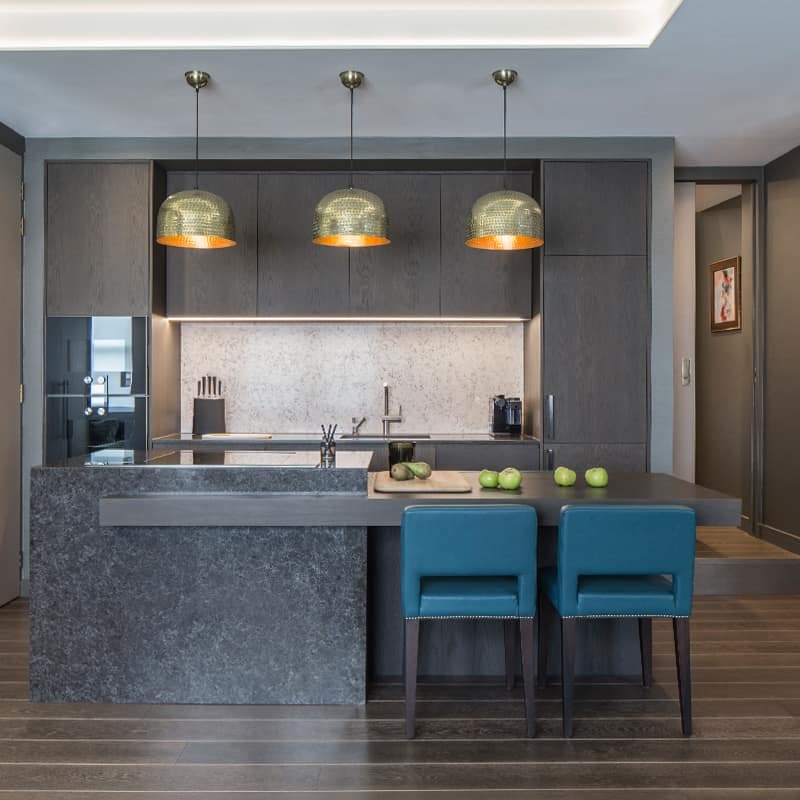 Every detail was considered in the planning, layout and interior scheme leaving the client delighted with the realisation of a refined yet comfortable apartment.